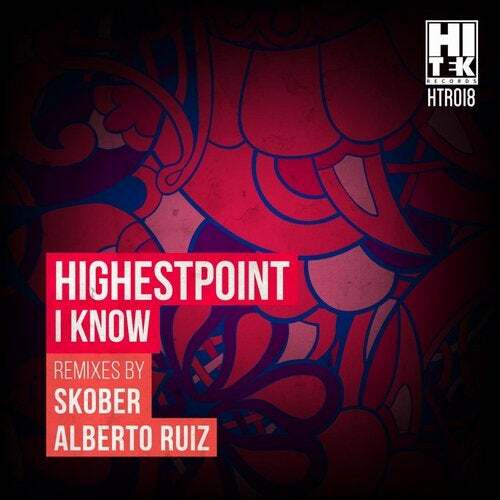 Label owners Highestpoint return to Hi Tek Records with a new single titled "I Know". Representing the main sound of Hi Tek Records, Highestpoint keeps the main groove on lockdown with a solid percussive swing and magical synth like characteristics which describe perfectly the new and improved sound of this quality duo. With preparations to a magical techno summer, the duo has also included some riding vocals to set the mood of todays modern Techno. With some big room drops and massive uppers, I Know is definitely in line for one of 2015's biggest summer hits from Montreal to any known destination across the globe. We here at Hi Tek Records are always extremely proud to welcome our creators on yet another journey to the next chapter. This quality EP also includes remixes by Spanish Techno guru Alberto Ruiz and Ukraine's Techno ambassador Skober.